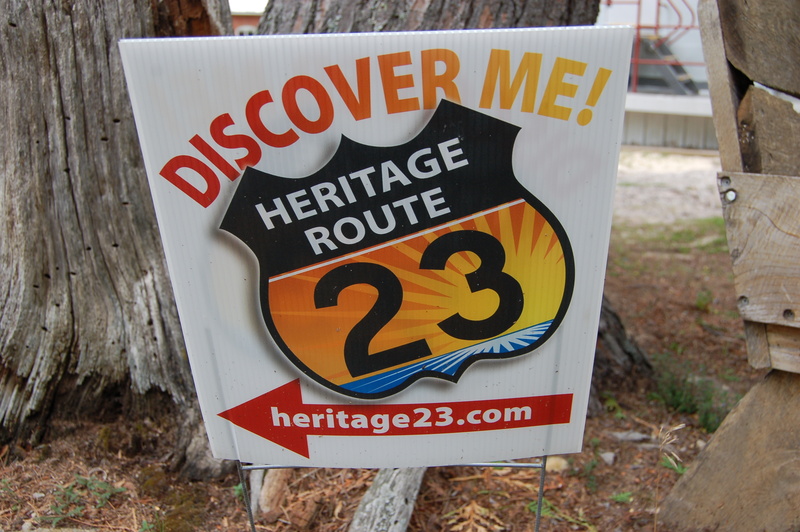 The US 23 Heritage Route follows the Lake Huron shoreline through six counties in Northern Michigan, passing through small towns and past countless historic sites along the way. Also known as the “Sunrise Side,” this area is known for its stunning scenery along the Huron shore. Today we’ll take you on a tour of the best places to visit along this route, highlighting historical lighthouse, monuments to the lumber industry, state parks, local dining and shopping, museums, family attractions and more. Enjoy! 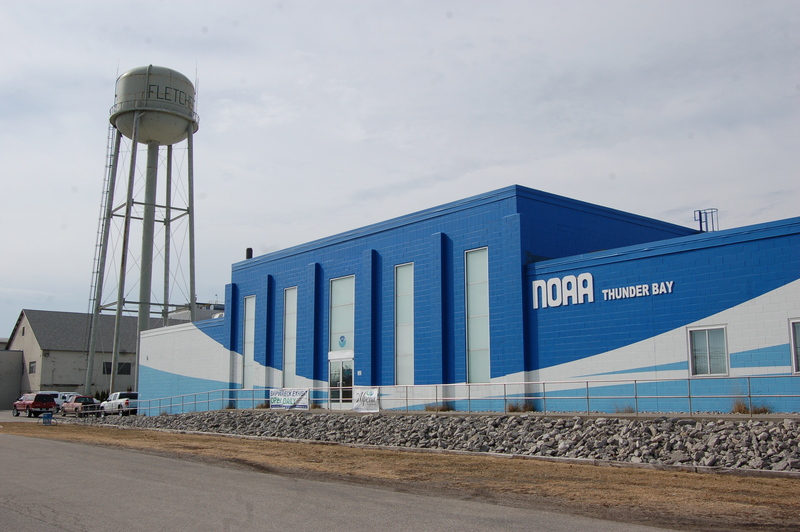 From the south, a US-23 tour starts in Arenac County at Standish, home to the Standish Historic Depot and Welcome Center as well as the Saganing Eagles Landing Casino. 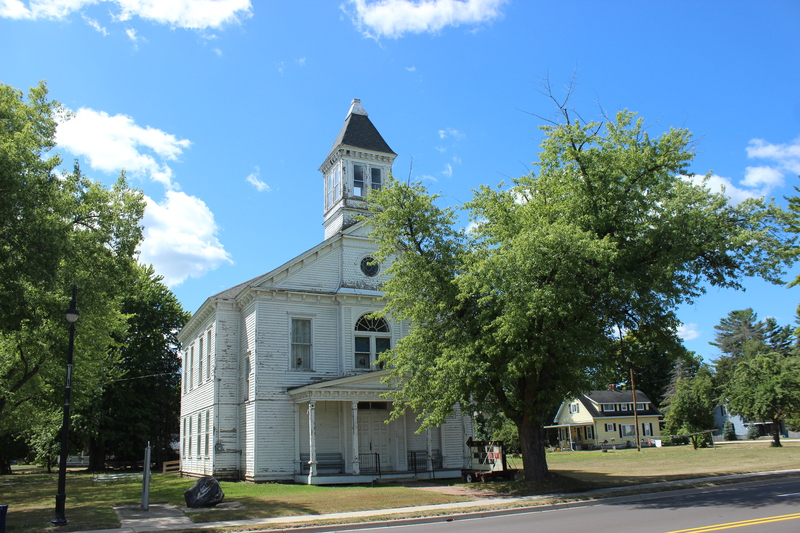 The Maple Ridge Historic Schoolhouse is a 1904 one-room schoolhouse is located a few miles north of Standish. Seven miles down the road you will pass through Omer, home to the Old Courthouse and Masonic Hall. This is also the point where the Rifle River crosses paths with the US-23 Heritage Route – there are many opportunities for outdoor recreation like fishing, kayaking, canoeing and birdwatching along this river in Arenac County. 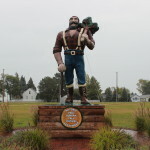 In Au Gres be sure to check out the Arenac County Historical Museum and Genealogical Society, Au Gres Riverfront Park, and Pointe Au Gres Park. This is also one of two departure sites for lighthouse dinner cruises that head to Charity Island. 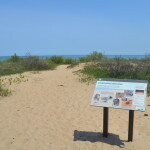 The highway now follows the Lake Huron shoreline into Iosco County, home of Tawas Point State Park. This is one of Michigan’s most popular state parks, featuring the Victorian-style 1853 Tawas Point Lighthouse that is open for tours, a sandy swimming beach and several hiking trails, and a campground with more than 200 modern sites. The cities of Tawas City and East Tawas offer shopping, art, dining, the Iosco County Historical Museum and more. 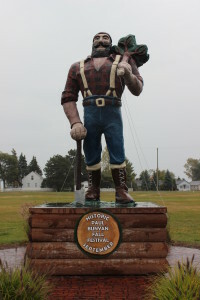 It is a 15 mile drive north to Oscoda, which features a Paul Bunyan statue, Wiltse’s Brewpub, access to the Au Sable River and the River Road Scenic Byway, the Oscoda Historical Museum and the “three hangars of history” at Wurtsmith Air Museum. 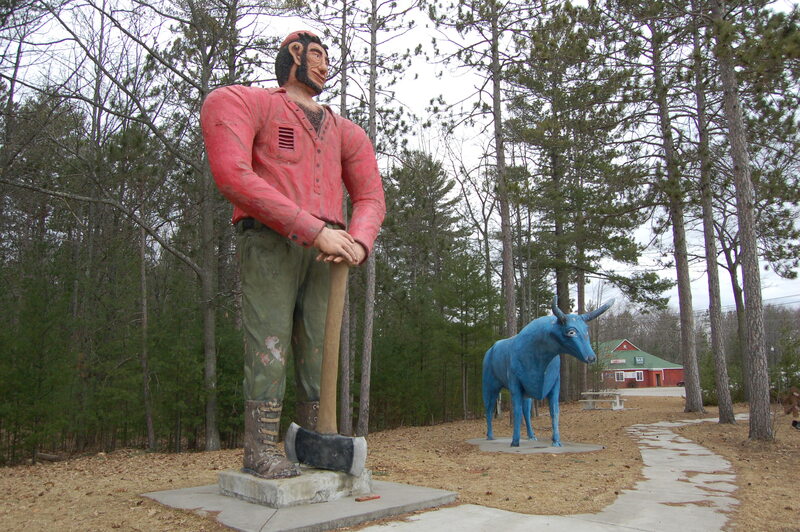 On the River Road Scenic Byway you can check out landmarks like the Foote Dam, Cooke Dam and the Lumberman’s Monument. 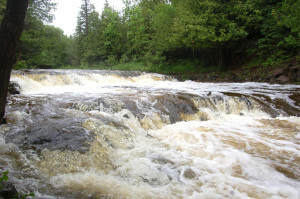 The Oscoda area is popular with outdoor recreation enthusiasts as it offers a seemingly endless assortment of opportunities for camping, hiking, birdwatch, golf, canoeing and kayaking, biking, swimming and in the winter snowshoeing, skiing, and fat tire bike trails. As the US-23 Heritage Route continues north it passes into Alcona County. 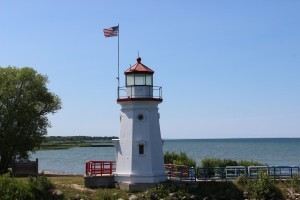 The main town on this stretch of shoreline is Harrisville, home to the Harrisville Historic Depot (1901), Lincoln Depot (1886), Sturgeon Point Lighthouse and Old Bailey School (check out our photo gallery), Harrisville Heritage Route Trail (a 2.5 mile pedestrian trail) and Harrisville State Park (campground, day use area). 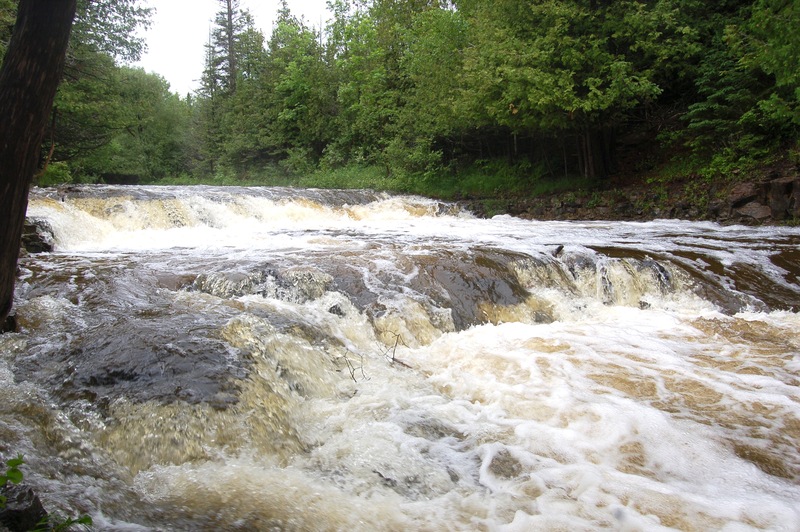 At the northern edge of the county you will find Negwegon State Park, which has more than 3,700 acres of rustic, undeveloped land open for hiking and day use. We now head north to Alpena County, home to many attractions as well as the largest city on this route (Alpena). 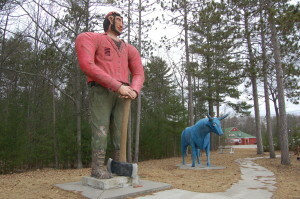 First we pass through Ossineke, which is home to a Paul Bunyan and Babe the Blue Ox statue as well as the unique Dinosaur Gardens attraction. From here it is about a 15 minute drive to Alpena, which has a population over 10,000 – after all of the small towns on this route it will feel like a big city as it is home to a Meijer, WalMart, multiple fast food options and plenty of lodging options in addition to local businesses. 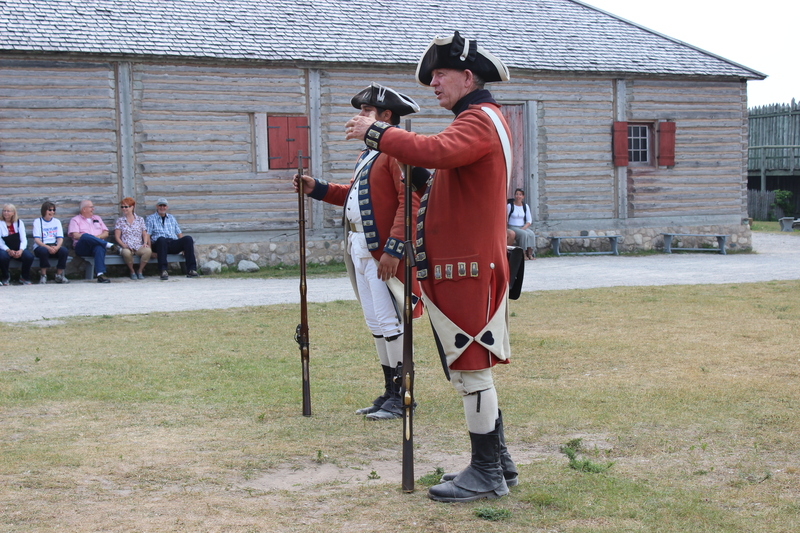 Maritime attractions are plentiful here, thanks to a rich history centered around Thunder Bay and Lake Huron. We recommend visiting the NOAA Great Lakes Heritage Museum and the Alpena Light, and if you have time consider a Glass Bottom Shipwreck Tour cruise. The Besser Museum is a popular stop for families, and yet another Paul Bunyan statue (this one made out of car parts) can be found next door on the campus of Alpena Community College. 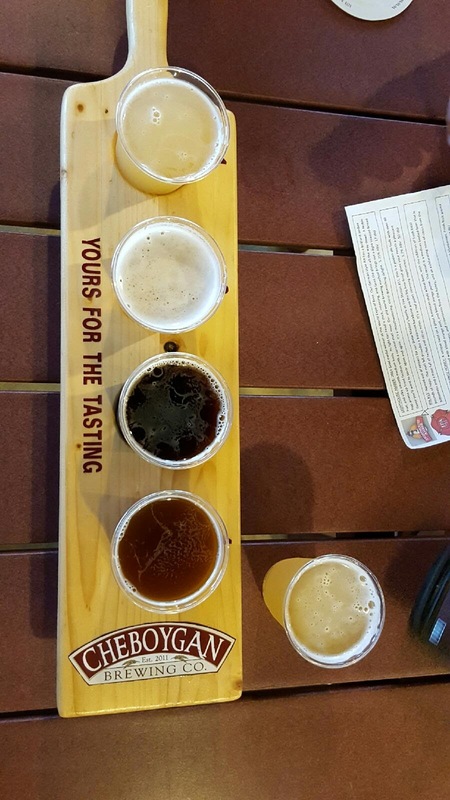 You’ll find locally crafted beers at Austin Brothers Beer Company and wine at Stoney Acres Winery. 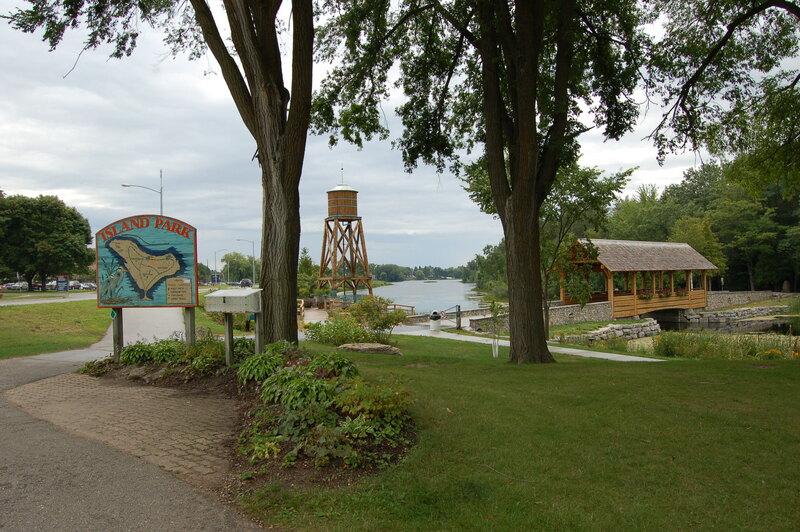 Alpena is home to many parks, and the 14-mile bi-path provides walking and biking access to and between many of these parks. Island Park is a favorite, with its nature trails, kayaking opportunities on the Thunder Bay River, and covered bridge. Downtown is home to the Thunder Bay Theatre, restaurants like JJ’s Steak and Pizza House, and shopping opportunities. North of town you’ll find Rockport State Park, home to a DNR deep water boat launch (trips to the Middle Island Lighthouse leave from here), an old limestone quarry, the Besser Natural Area, hiking trails and more. 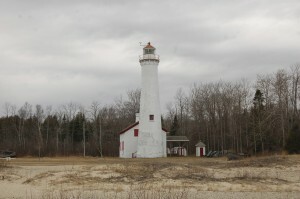 We next move into Presque Isle County, home to several historic lighthouses and many outdoor recreation opportunities. A short drive to Grand Lake Rd. 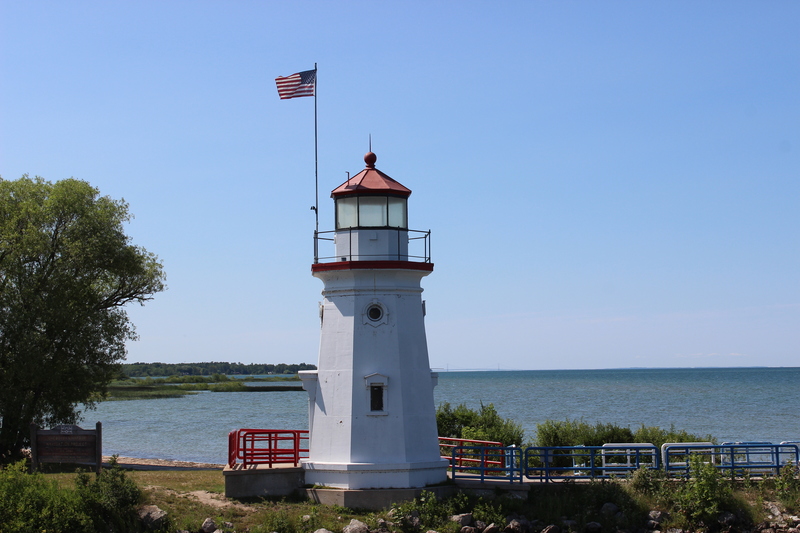 makes it possible to visit the Presque Isle Front Range Light, Old Presque Isle Lighthouse and New Presque Isle Lighthouse. The two lighthouses are museums and can be toured and you can also climb the towers. Old Presque is one of the oldest remaining Great Lakes lighthouses and New Presque is one of the tallest. Near Rogers City a short drive west leads to Ocqueoc Falls, the only named waterfall in the Lower Peninsula. Be sure to check out the World’s Largest Limestone Quarry and the freighter viewing area at Calcite. 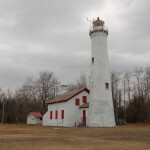 North of town you’ll find Hoeft State Park (Lake Huron beach, campground) and the historic Forty Mile Point Lighthouse (open as a museum). 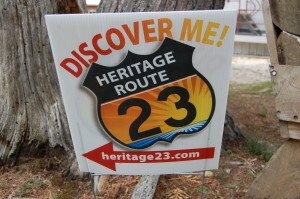 From Rogers City it is a drive of almost an hour to Cheboygan, the next stop on the US 23 Heritage Route. On your way to Cheboygan County there are many great views of Lake Huron and several roadside parks and other places to pull off for photos. 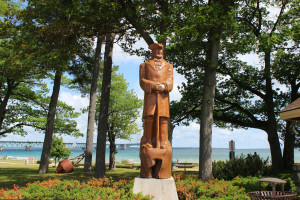 Before reaching Cheobygan you will first reach Cheboygan State Park, which is home to more than 70 campsites, miles of trails, the ruins of an 1850s lighthouse and more. In Cheboygan you can see two more lighthouses, the Cheboygan Crib Light and the Cheboygan River Front Range Light. Stop by and grab a beer at Cheboygan Brewing Company, or some food at one of the downtown restaurants. 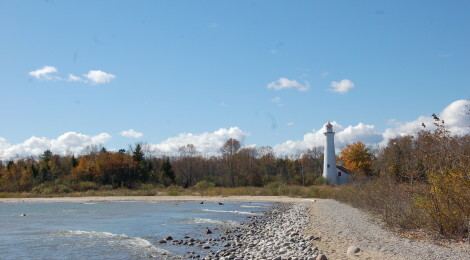 Gordon Turner Park is a popular stop with a playground, boardwalk, beach and distant views of the Fourteen Foot Shoal Light and Poe Reef Light. Plaunt Transportation runs ferry service from Cheboygan to Bois Blanc Island. 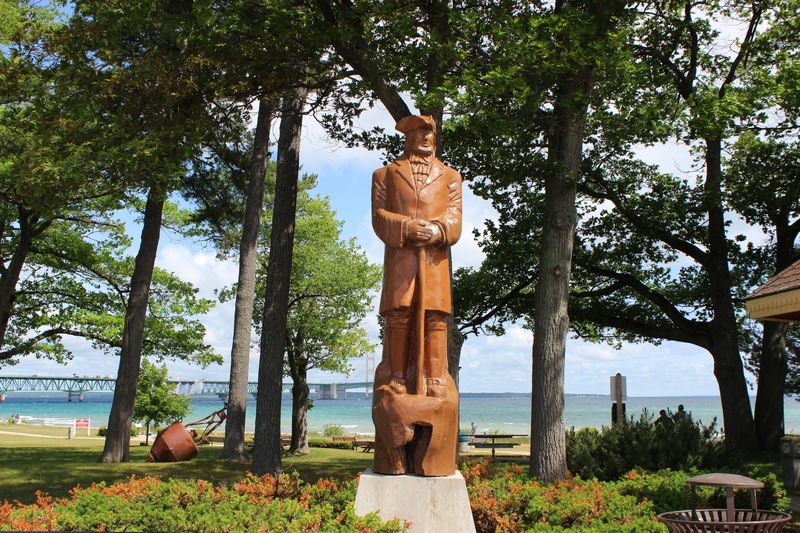 From Cheboygan it is less than a 15 minute drive on US 23 to Historic Mill Creek Discovery Park, home to a zipline, a restored 1800s sawmill (the sawmill here provided lumber for several of the buildings still standing on Mackinac Island), nature trails, camping (half mile from the park) and more. 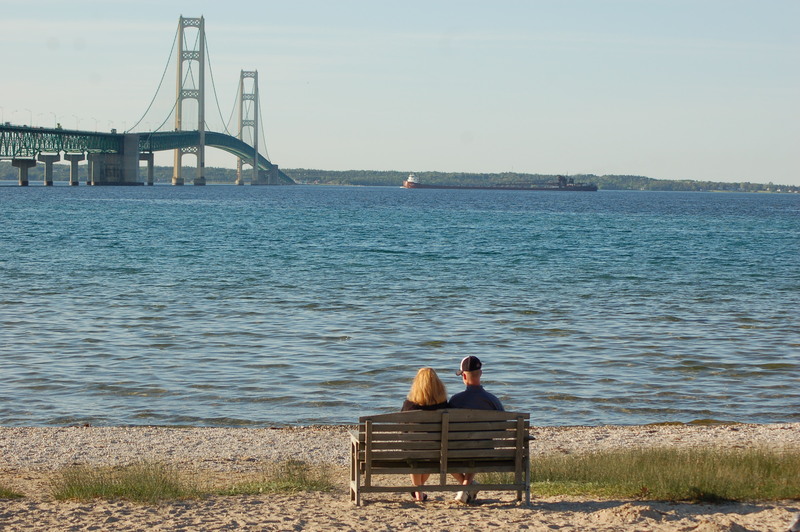 You’re now just minutes away from Mackinaw City, and the rest of the route will feature great views of Lake Huron and distant views of the Mackinac Bridge. Mackinaw City is one of the premier tourist destinations in Northern Michigan. 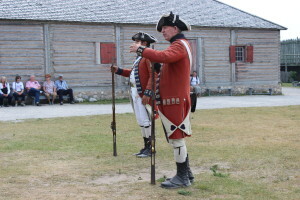 Visitors can view the Mackinac Bridge and Old Mackinac Point Lighthouse from a park on N. Huron Ave., and tour Colonial Michilimackinac – a restored fort that dates back to the early 1700s and features costumed interpreters. Be sure to visit the shops on Central Ave. and at Mackinaw Crossings, and be sure to take home some famous Mackinac fudge. Local restaurants include Audie’s, Mama Mia’s Pizza, Dixie Saloon, Nonna Lisa’s and more. Biere de Mac Brew Works is a new addition to the Michigan craft beer scene and can be found on 14277 Mackinaw Highway. Shepler’s and Star Line ferries run from Mackinaw City to Mackinac Island, where cars are not allowed. Check out our list of things to do on the island as well as our photo gallery of some of of our favorite places there. Shepler’s also offers lighthouse cruises to the east and west during the summer on select dates. 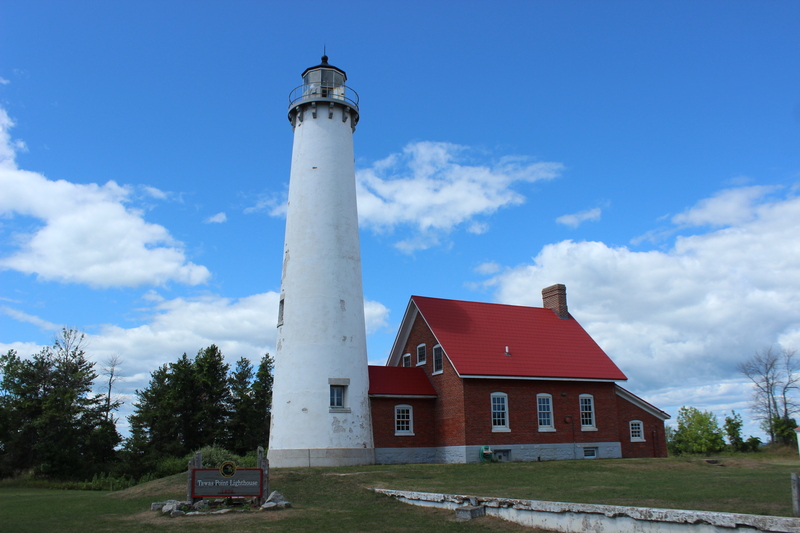 Mackinaw City is also home to many hiking and biking trails. Be sure to check out the Historical Pathway with its more than 50 informational plaques and woodcarvings of historic figures. 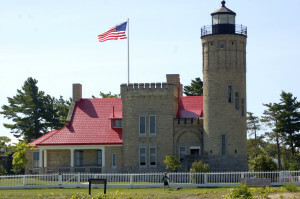 West of town you’ll find the McGulpin Point Lighthouse (museum, hiking trails), Headlands International Dark Sky Park and Wilderness State Park. Whether you’re looking to camp or stay in a hotel, there’s a lodging option for every budget here. We’ve now completed the Sunrise Side Tour via the U.S. 23 Heritage Route, traveling nearly 200 miles alongside Lake Huron. With plenty of fun things to do for the whole family, this is a trip many will want to return and do again.